Are you thinking of converting your loft? Looking for a cheap option that won’t overshoot your budget? 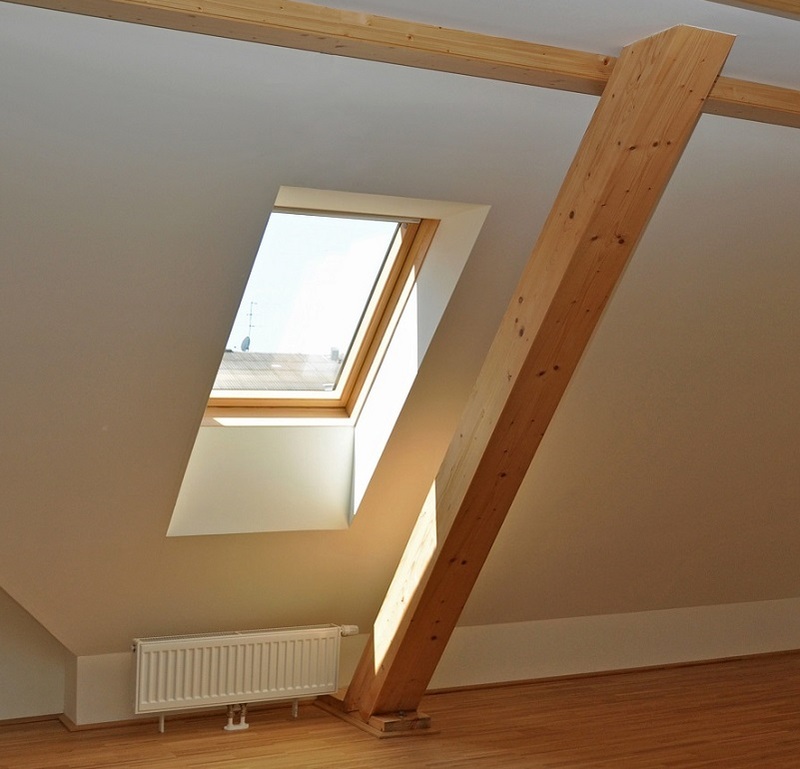 Do you need the services of an experienced loft conversion service in Brighton? With a background in loft conversion going back over 20 years, Milosh Loft Conversions is one of the leading specialists in Brighton. 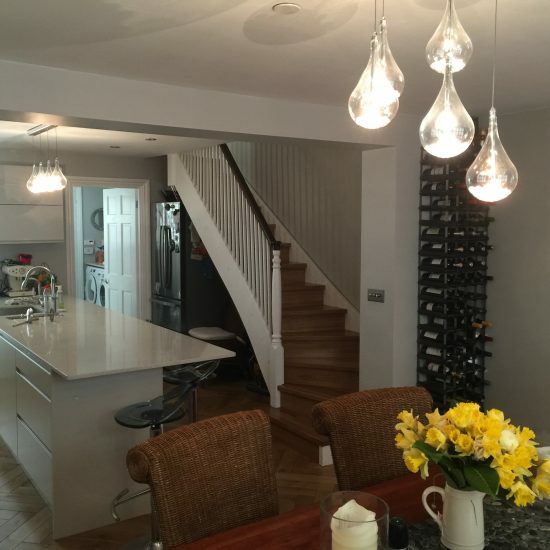 We are passionate about using our expertise of construction with a speciality in loft conversion to create a customised design which highlights the beauty of your home and creates additional room for your family. As a professional team of friendly contractors, we understand the importance of building an excellent relationship with our clients, establishing a schedule of work and completing your loft conversion project on time. We want you to have the loft conversion of your dreams without breaking the bank or taking longer than expected to give you the perfect loft. Our team will find a custom solution for the most difficult situations. We work within your requirements and consider your design ideas and available loft space to ensure the loft we create is one that makes you happy. Our RIBA certified architects are here for you. We’ll design a loft conversion that makes the best use of your existing space and turns it into a habitable, useful and attractive space that provides value in terms of storage, living space and an increased property value. Once you call us to arrange a free site survey, we will come over to analyse your loft space and discuss the viability of a Velux loft conversion. Velux loft conversion is cheap, easy to implement and has a faster turnaround time when compared to most loft conversion options. Instead of a one-time payment that cripples your finances, we work out a staged payment system where you pay for your loft conversion in instalments throughout the project. The quote we send you includes details of what the loft conversion entails. Prices are fixed so you don’t have to worry about paying extra after you’ve signed the contract. We take care of the entire process for you. From planning, design, build, quality control and handover, we are with you every step of the way. Our staff can help you arrange for building regulation, planning permits and party wall agreements. Our Brighton loft conversion specialists have the ability to undertake any type of loft conversion project including building a staircase that maximises space in your home. What is Velux Loft Conversion? Velux loft conversion is one of the most popular types of loft conversion. It doesn’t require any structural alteration to the roof, it is affordable and it’s the least invasive loft conversion. It is the first choice for Brighton homeowners who want to have their loft converted. 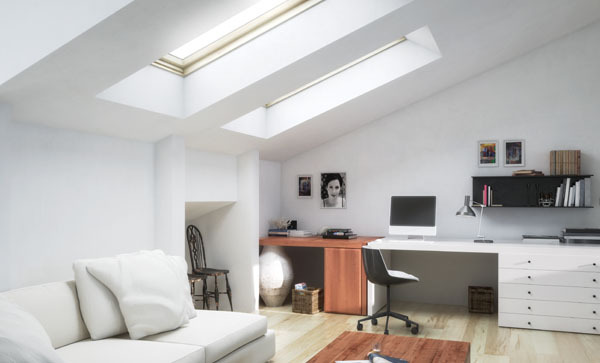 A Velux loft conversion makes the most of your current space, increases natural sunlight in the room, makes it more habitable and doesn’t require planning permission to implement. It is ideal for the building where the loft has sufficient headroom but a small space, such as a study or single bedroom. When compared to other types of loft conversion such as Mansard, Hip to Gables or Dormer loft conversions, Velux requires less construction, ensuring that it is not as disruptive as other types of loft conversions in Brighton. Whilst planning permission may not be required, you should still check with the local authority in Brighton to ensure that you don’t need planning permission. Our experts can provide you with free advice to get you past the planning process and ensure your loft conversion meets all the building regulations. A rooflight window lets in plenty of ventilation and natural light to your Brighton home whilst retaining your privacy. You can use a blackout blind to prevent the room from being too warm in summer. It can also include a Cabrio system that turns your window into a balcony. A traditional design that is secured to an upstand on the roof. If you have a large window glazing area, several glass panes are joined to make one large rooflight. It offers great thermal performance and maximises sunlight to ensure the Rooflight doesn’t lead to heat loss. This is a good solution for Brighton homeowners who are seeking more fresh air and increased ventilation for living areas below. These are electronically operated with a remote to provide an amazing combination of clean air and natural sunlight. Just as the name suggests, you can walk on them. They are typically used in a garden or courtyard area that sits above a subterranean living space. It is a good way to increase natural light in the living area below. The glazing you use has to be strong enough to handle foot traffic have watertight performance and be completely safe. If you’re looking to get great sky views or brighten up a dark space, then roof lanterns are the best option. They are designed to provide plenty of light, unrivalled sky views and an elegant style. A thermal-efficient sliding rooflight brings the outside in for increased ventilation and unobstructed light when slid into the open position. The rooflight supports its’ own weight without obstructive supports or roof tracks using a built-in telescopic sliding mechanism. It uses an electric motor and can be fitted with a rain sensor, remote control, temperature sensor and safety access control sensor. We offer an impressive range of Velux windows to our Brighton customers who are considering a Velux loft conversion. The most desirable is the Velux smart window that does more than just let sunlight in. These impressive windows automatically shut down when they sense that its’ about to rain and they open again to let in the sun. Adding a Super Sound Insulation reduces noise pollution by 50% for those who live in a noisy area. Our high-quality Velux windows ensure that your Brighton loft conversion is filled with natural light that complements the design of the room and makes it feel like home. Sunlight is important for good health, and rooflight windows bring daylight directly to you. It is a part of the architecture that reduces energy for lighting and impacts cooling and heating loads. This means your loft is more energy efficient when you install a roof window. The light from the sun enhances morale, reduces eyestrain and fatigue and leads to a positive attitude that lasts the rest of the day. It is crucial that you use a good quality roof window to enjoy “first hand” proper light energy that is glare-free. Electric lighting is usually the best choice for Brighton lofts. Ventilation in a building freshens up the air inside your Brighton home to maintain thermal comfort and good air quality. It also influences your psyche by creating a link to nature, the feeling of being in control and odour management. Considering that many homeowners in Brighton spend a lot of time indoors, it is important to maintain the right context for healthy, fresh air to exist. The DEIC states that the quality of indoor air influences your mental performance and general wellbeing, makes you feel comfortable and prevents asthma caused by humidity. Outside noise, especially for those who live in populated, urban areas has a negative effect on mood, health and learning capabilities. Noise can affect your well-being, cause mental fatigue, lower productivity and trigger stress. A well-insulated Velux window blocks outside noise makes you more serene and contributes to a relaxed sleep at night. The opening and closing could either be automatic or controlled by an innovative bar at the top. Either way, it ensures you have a superb view when sitting or standing up and lots of natural light throughout the loft. Most loft conversions get very cold in winter and too hot in summer. Velux windows feature ThermoTechnology which uses an airtight seal and excellent insulation to maintain an even temperature all year round. Why Choose Milosh Loft Conversions for your Velux loft conversion? Who supervises my loft conversion project? We assign a dedicated project manager for each loft conversion project in Brighton. Your project manager schedules a weekly meeting to bring you up to speed on the progress of work and answer any questions you might have. I have my own plans; can I use them? We can use your own plans if that is what it takes to bring your dreams to life. You can call us directly on 01273 257450, send us an email or complete the online enquiry form and we’ll arrange a date that fits into your schedule for the free site survey. How do I choose a builder for my Velux loft conversion? Choose a builder or loft conversion specialist who understands Velux windows, its’ core design elements and best use. Ask for recommendations from friends who’ve had Velux windows installed in their home. Ensure the builder of your choice is licensed and has all the required credentials. Go online. The company’s website must inspire trust. Check their office address and call their phone number for more details. Ask to see a portfolio of Velux loft conversions. Milosh Loft Conversions is happy to give you the phone numbers of Brighton residents we’ve worked for. We can also provide our licenses, proof of guarantee and a portfolio of loft conversion projects we’ve carried out in Brighton. Can I carry out a loft conversion if I have a water tank in my loft? Your water tank provides hot water that the occupants of your home rely on. If it’s located in the loft, you have several options. The first option is to move the water tank to a corner. It frees up space and allows you to maximise your loft. A box in the tank hides the tank without affecting the aesthetics of your new loft conversion. An unvented hot water cylinder is a great alternative to your old water tank. It eliminates the need for a cold water tank in the loft, so you save space. They can be located anywhere, including the basement. The best option is to remove the old tank completely and replace it with a combi boiler. It takes up minimal room and is the ideal, long-term solution for maximising space in your loft whilst improving the pressure of hot water throughout the home. A party wall is a shared wall between neighbouring houses, usually in a semi-detached or terraced house. It is the wall that divides both houses. A party wall agreement is needed for any building work that involves insertion of damp proof courses, loft conversions and digging new foundations. You need a written party wall agreement signed by adjoining owners. A surveyor is appointed to prepare a Party Wall Award that states how work will progress. The adjoining homeowners have to be given two months written notice. There are many options to consider when planning how to pay for your Velux loft conversion. Re-mortgaging is popular with our Brighton clients. They take out a second mortgage on their home to fund their loft conversion. The second option is the cash buyer programme where you pay for your loft conversion in stages from the date you signed the contract to the date when you receive the certificate of completion. The third option is to leverage your savings if you have enough in the bank. If you don’t, you can put the rest on your credit card or look into a credit card cashback deal. The final option is the “buy now pay later deal”. You pay 50% at the start of construction and the balance is paid over a period of 12 months. Alternatively, you could use the deferred and preferred method where the final 50% is spread over 60 months or 120 months. Can I undertake a Velux loft conversion myself? We do not advise DIY Velux loft conversion. The design process is especially tricky. You have to ensure that the building is strong enough to support the loft conversion and the design maximises space in the loft whilst sticking to Brighton building regulations. A poor design could endanger the lives of your family and those around you. If you build a loft without getting the right permit, your loft is illegal and it loses any assumed increase in value. This makes it very difficult to sell your home when you want to move. Do I need a staircase for my Velux loft conversion? Yes. Every loft conversion requires a staircase. The position of the staircase is one of the most crucial decisions. Our RIBA certified architects will advise you on the best position for your staircase, the design that best complements your loft and the general aesthetics of your Brighton home. The ideal loft staircase maximises space in your home. A smart option is to install the loft staircase over the existing staircase. It creates a symmetrical design where one staircase leads to the other whilst saving space for your loft without affecting headroom. Milosh Loft Conversions will design and build an amazing staircase for you. Should I expect disruptions during a Velux loft conversion? Velux loft conversion is a minimally invasive procedure. This means that you can go about your day without any issues. The process takes four to six weeks to complete. Do I need building regulations for a loft conversion in Brighton? 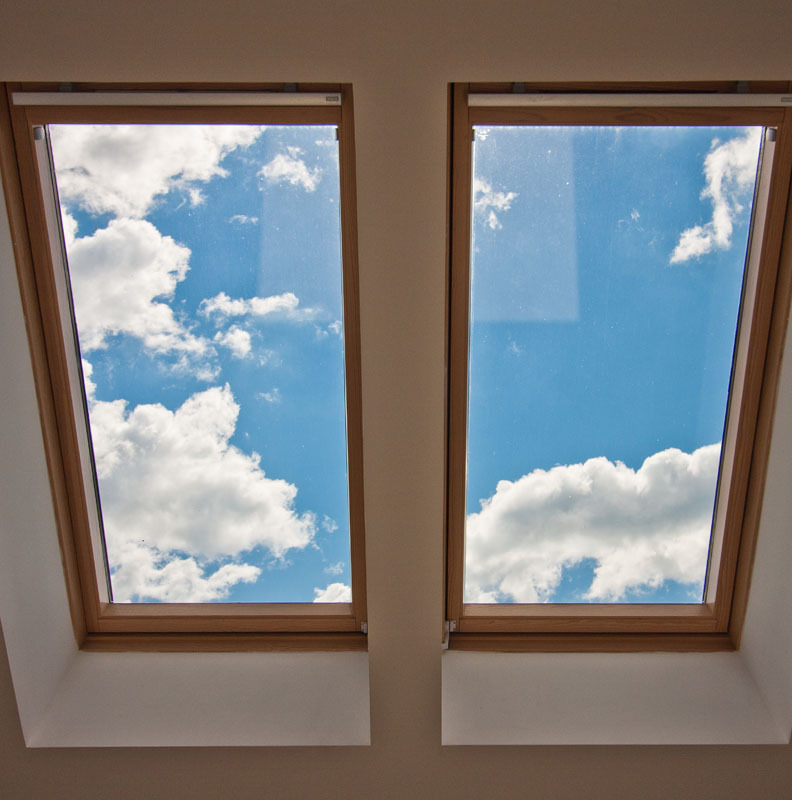 The alteration, addition or removal of a rooflight can impact how the roof works. When making any improvements to the roof, it is crucial that you work with a specialist to ensure the roof performs as it should even after the conversion. Building regulation is always required for a loft conversion. By UK laws, any structural modification to a building must comply with building controls that stipulate the standards for safety and design. Can I have a roof window if I live in a conservation area or listed building? Designated areas include areas of outstanding beauty, national park, conservation area or World Heritage Sites. You must apply for planning permission before a loft conversion in a conservation area. Considerations for permission include the height of the roofline, the impact on parking, the loss of light, privacy, noise and effect on nature conservation. If you construct a loft conversion without a planning permission, your loft conversion is illegal and attracts a hefty fine of up to £10,000. Do I need planning permission for a Velux loft conversion? The window will protrude beyond 150 mm above the existing roof plane. You plan to alter the highest part of the roof or it is a side facing the window that could raise privacy concerns. The extension is higher than the highest part of the existing roof of the building. The maximum height of the loft conversion exceeds 4m. Your Brighton home is on a designated land. The loft conversion includes a balcony, veranda or raised platform. The volume of the addition should not exceed the limits in permitted development. That terraced houses is 40 cubic metres and detached and semi-detached houses is 50 cubic metres. Which rooftop window has a balcony attached to it? The Velux Cabrio balcony transforms your rooflight window into a balcony with the touch of a button. It adds light, air and a great view. You can have a balcony to watch the view of the city or a roof window to enjoy natural sunlight from the comfort of your Brighton loft. It is suitable for roof pitches between 35 and 53 degrees. Why should I convert my Brighton loft? Instead of moving homes, a loft conversion is a perfect way to expand your property and increase the living space in your Brighton home. It solves the problem of the growing family that needs more room and it reduces the amount it would require for you to upgrade to a larger home. Building up is a cost-effective and direct way to create more space in your home. Both large and small loft conversions are becoming a popular choice for Brighton homeowners who don’t want to move houses but need extra living space. Velux roof windows are the best choice if you want to illuminate your new loft conversion. Insulation and ventilation are at the core of their design, ensuring that your loft is comfortable and healthy. Optimise the privacy of your loft by including noise reduction windows that ensure a good night rest and block outside noise. 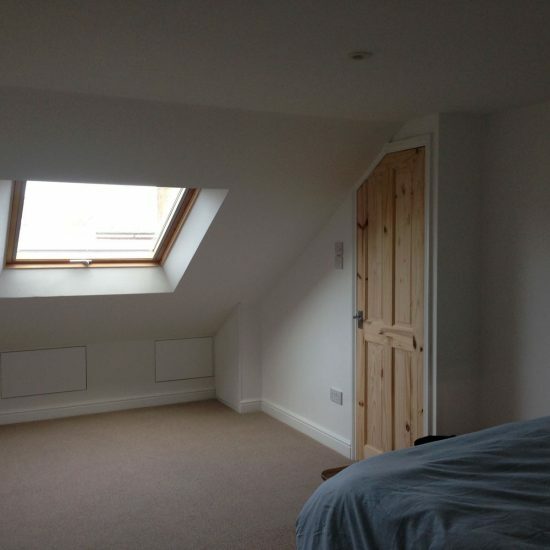 Who is the best rooflight window for my Brighton loft? When comparing efficiency with aesthetics and design, Roto and Velux are at the top. Velux is the market leader for roof windows in Brighton and the rest of the UK but there are other options to consider. Do I need blinds for Velux windows in Brighton? Roof windows increase natural lighting by 30% more than a standard window. If you require daytime shade, a suitable blind is essential. Most manufacturers offer blinds designed for their specific windows. You are assured that Milosh Loft Conversions stock both windows and blinds for your preferred rooflight window manufacturer. For example, Keylite’s window blinds reduce heat loss by 20% and some even improve thermal efficiency in your loft conversion. Why should I hire a loft conversion specialist? Installing a roof window is not a DIY job. It requires experience and a specific skill set that should be contracted out if you don’t have the skills. Undertaking this task on your own might cost you more money than you originally planned to spend. 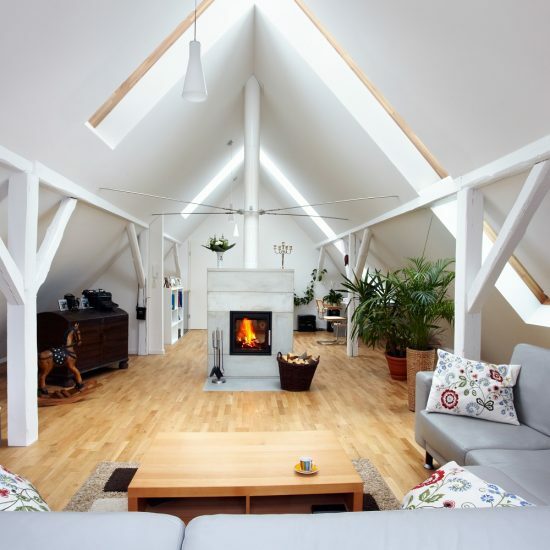 When choosing a loft conversion service in Brighton, it is important to choose a professional service such as Milosh Loft Conversions who understand rooflights and Velux windows. We can also help you make the right choice on the best type of rooflight window that suits your budget, location and style. How does a loft conversion add value to my home? A loft conversion is an investment in itself. It creates additional room for a growing family. It can be used as storage, an extra bathroom, home office, kids’ playroom or bedroom. Building a loft with an en-suite bathroom could potentially increase the value of your Brighton home by up to 21%. Most lofts in Brighton are convertible but the only way to know for sure is to call Milosh Loft Conversions for a free site survey. The most important thing to check for is the height of the roof. When measured from floor to ceiling, it should be at least 2.3 metres high. How much is Velux loft conversion? The most cost effective Velux loft conversion starts at £28,000 + VAT. The factors we mentioned above will influence the cost by as much as £1,000 or more. What is a Velux window? Velux is a type of rooflight window and the leading manufacturer in the UK. They have a reputation for quality that is unmatched by other manufacturers. 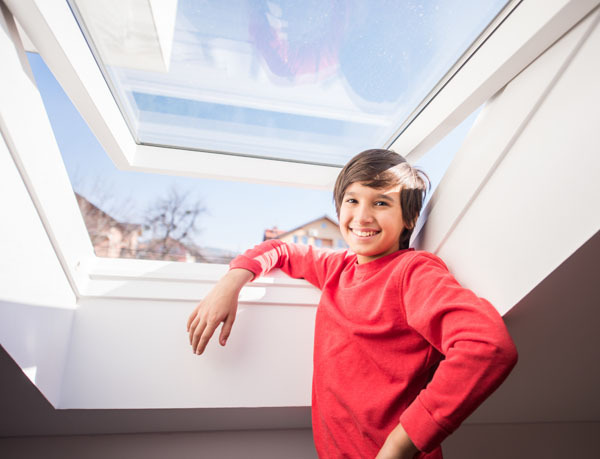 Velux offers a range of window designs for Brighton homeowners who want a loft conversion that sheds light into the darkest corners of their loft, increases ventilation, makes their loft energy efficient and maximises available space. Milosh Loft Conversions uses high-quality Velux products that are inexpensive and durable. The faultless design, solid construction and quality materials gives a classic look to your loft. Milosh Build is proud to offer Roof Light/Velux Windows For Loft Conversions in the town of Brighton, which lies within South East England in the county of East Sussex. Hove, Mile Oak, Moulsecoomb, Hollingbury and Hollingdean are included withinin Milosh Build’s Roof Light/Velux Windows For Loft Conversions area in the City of Brighton and Hove. Last in order of mention, Milosh Build’s Roof Light/Velux Windows For Loft Conversions cover the Brighton Municipality along with Stanmer, Bear Road area and Brighton Marina.